It’s February and we have finally have snow on campus! As the bulk of the country has been immersed in the polar vortex, we have been watching the crazy weather from afar, but now we’re getting our fair share. Yay! We LOVE snow days! Our campus is a busy place this term, which is very exciting. We have a full roster of academy students and athletes from our international program as they spend time here for meals and occasional training. If you haven’t heard, we have our accreditation! We are now accredited with the National Council for Private School Accreditation and Accreditation International. This will be pivotal to getting our SEVIS certification that will help with VISAS for our international students. It also means we can issue our own transcripts for those students using the Edgenuity curriculum. With the accreditation, we are now giving the MAP test, or the Measure of Academic Progress assessment. This assessment is a computerized adaptive assessment given 3 times per year which helps teachers, parents, and administrators improve learning for all students and make informed decisions to promote a child's academic growth. Check here to see what and how the MAP test informs teachers, students, and parents. The assessment also links to the Edgenuity platform to inform those teachers. For those students who are not using Edgenuity, the assessment informs our staff when they help your students in the classroom and to make sure students are at grade level. If your student has taken the test, we will give it again in April. Students in 10th grade have signed up for the PSAT in late February, and 11th and 12th grade students will have the opportunity to take the SAT later this spring. We are thankful for MEWA for providing this opportunity. I am hopeful next year we will be able to give the tests ourselves. Our seniors are gearing up for their last term of their senior year. Jostens stopped by and we will be ordering cap and gowns this month. Parents can also order invitations that will have our logo and an engraving of Mt. Hood. I just got confirmation that we have our graduation date and time set for May 2nd at Timberline Lodge. Our graduation ceremony will be from 5:00-7:00 PM in the Raven's Nest, with dinner from 7:00-9:00 PM in the Mt. Hood Room (directly below Raven's Nest). Dinner is included for graduate and 2 parents. Extra people are $33.00 per plate. We will have a special guest speaker who is a former graduate of Windells, whose name will be revealed next month. Student leaders will also be giving speeches. Our academy now has a summer term and we are open for enrollment! Spring is exceptionally beautiful on the mountain. The spring/summer term begins May 12th and ends August 3, 2019. Personally, it’s my favorite season. The mountain is always crisp white with snow, and flowers are blooming. This is a perfect opportunity for your student athlete to continue their training and get ahead in their academics for next year. Travel will be limited for snow sports but will be in full gear for skate students. Tuition for your student is locked in at the current rate you are presently paying. If you are interested, please let us know by March 1st and submit your deposit by March 15th for the summer term and June 15th for fall/winter term. If you are interested in having your student attend all three terms, we have a reduced tuition for those attending all three. We also offer a discount for students paying in full prior to the start of the term. We believe the summer academy session will be a cornerstone of our programing with huge growth potential. Talk to Dan on the specifics! Our summer ambassador program will look a bit different this year. Students will attend summer camp and board with campers at a reduced rate. Students will not be taking classes but will be embedded with the campers. The cost for this is $1875 per session for snow sports, and $875 per session for skaters. We encourage students to attend the academy year-round, but realize some students need to have some down time. Email me or Dan to enroll your student athlete in these cool programs. Our winter season is in full effect! 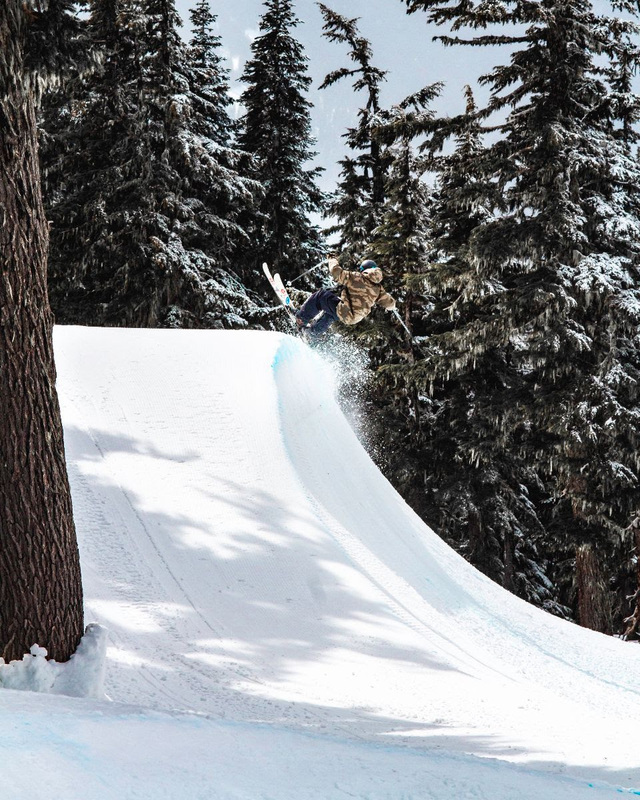 We started out the month enjoying the terrain on the big, beautiful volcano that is the pinnacle of our academy with a mix of pow-days at Meadows, and sunny park laps at Timberline. Shortly there after, we hit the road for our first big trip putting over 2,000 miles under our belts with no shortage of incredible snow. We arrived in Utah just as a big storm hit and we took full advantage of it! This storm gave us the chance to get out in the backcountry, dig some snow pits, learn about the stability of the new snow, pull out our beacons and practice with our companion rescue scenarios. We found that there was a significant amount of snow on top of an unstable layer, which raised some red flags. That being the case, we opted for some good old fashion resort riding! Brighton provided the goods and we couldn’t get enough of it. Just as the storm cycle had come to an end, it was time to hit the road again with Jackson Hole as our destination. Within 30 minutes of crossing the state line into Wyoming and up the Teton Pass, we decided to get out of the van and explore the snow. It turned out to be a highlight of the trip. Hayley hit a huge benchmark in her snowboarding career by landing her first ever backflips on a backcountry jump! That set the tone for our time in Jackson, as the next day we worked with Brooks Curran, a close friend of Griffin’s, who is a professional photographer. The kids got to see first hand what the dynamic is like to get media content and everyone came away with some amazing shots. A big Thank You goes out to Brooks for giving our team the opportunity to work with a pro. Our last days in Jackson were spent doing our first IFSA Big Mountain contest where Hayley walked away with a gold medal! Needless to say this first trip far exceeded our expectations and we are looking forward to the month of February. Back at it for round two! The second semester got off to a great start. We were lucky to have some uncharacteristically dry weather days scattered throughout the month which we used to our advantage getting sessions in at the local parks. We’ve spent the rainy days driving to the sunny corners of the state and hitting up Portland indoors as we eagerly await the completion of the new B.O.B. park. 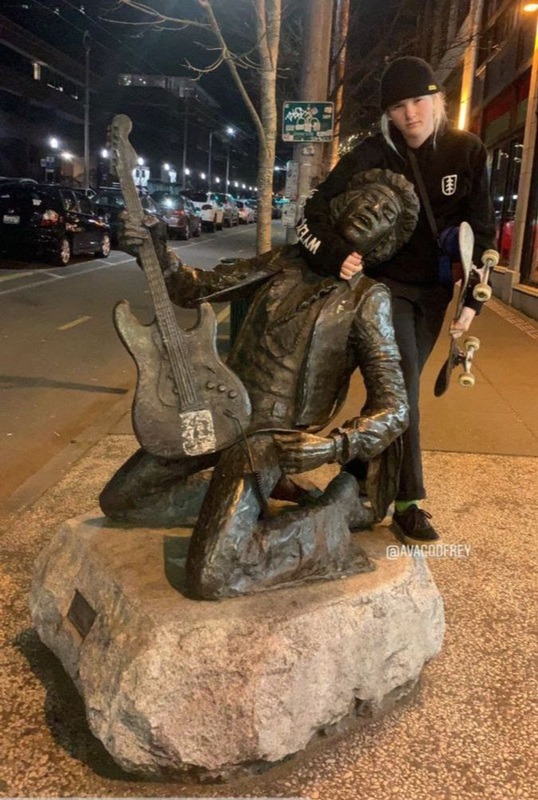 The skaters have also been doing weekly full day trips on Fridays to farther locations such as Seattle, Junction City, and Eugene. 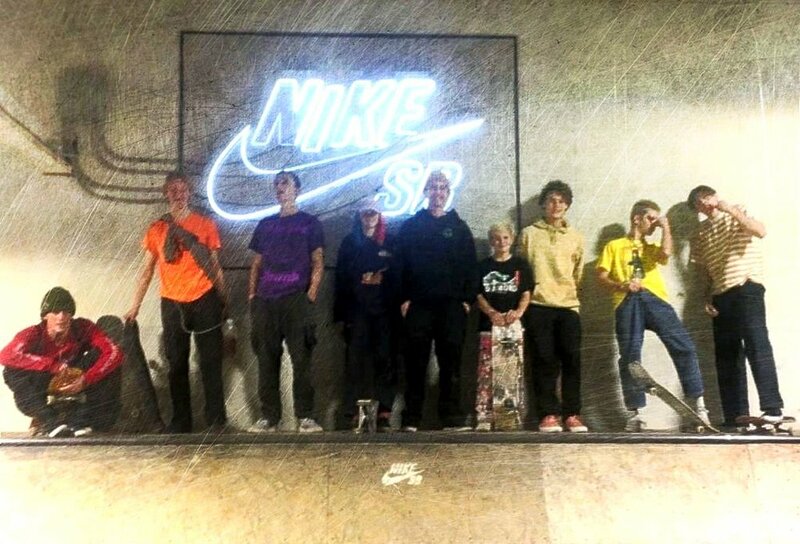 One of the main highlights from the month was being able to have a session in the extremely exclusive Nike SB park, thank you again to all who helped line that up! In addition to all that, the skaters have been actively cross training in the gym and on the ski slope in anticipation for our upcoming trip to Arizona. Stay tuned to the Academy Instagram and Facebook for day to day content updates! It's been a great month on the freeski side of things. We have had ideal weather for training on-hill and have utilized each and every day. The team as a whole is progressing daily, landing new tricks constantly and feeding off one another. We are lucky to have three new Australian students who have brought a nice boost of energy to the team. Part of our team traveled to New Hampshire for the first Rev Tour where they represented our team well, placing 4th and 1st! Our off-hill training is still in full effect with ample trampoline sessions, partnered with leg and core maintenance. Competition season is here and the team is ready to show off their hard work. 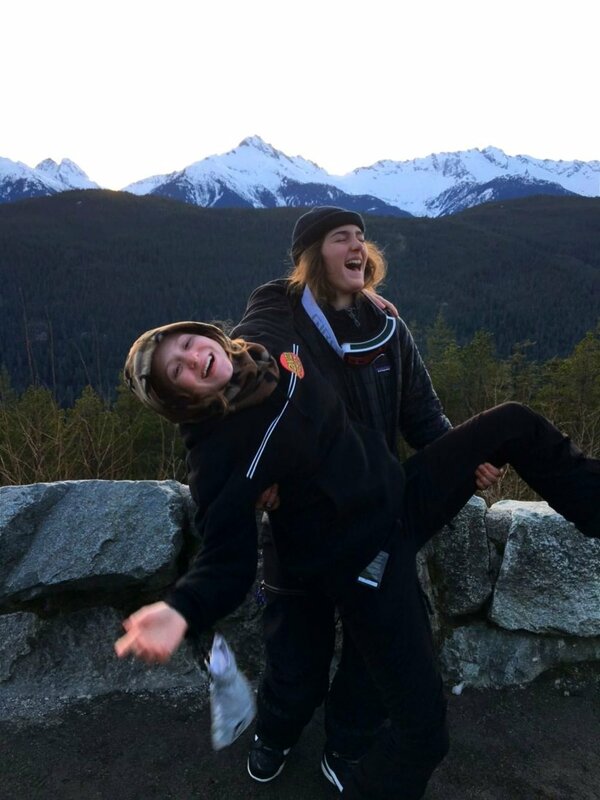 The snowboard team has been busy with training, competitions and a trip to Whistler in Canada. Whistler was an amazing experience and very progressive. The kids hit some of the largest jumps of their lives and making it look effortless. The Canada trip was also a great cultural experience and a glimpse into international traveling. Back at home, the kids are focusing on their competition runs and having fun. The next few weeks will be intense with competitions each weekend. Lots happening in the classroom this month! Students returning from first semester have been busy finishing their first semester courses - turning in projects, portfolios, and completing final exams. We have been so excited with everyone's accomplishments from first semester and with how they have handled the increase in training, travel, and school work as their semester ended. Nice job everyone! We have also had quite a few additions to our classroom this month. Our new students from Australia, the Netherlands, the US, and Japan are settling in nicely with our returning students and have all started their coursework. With our new students and the international program visiting campus regularly, campus is alive with international energy. 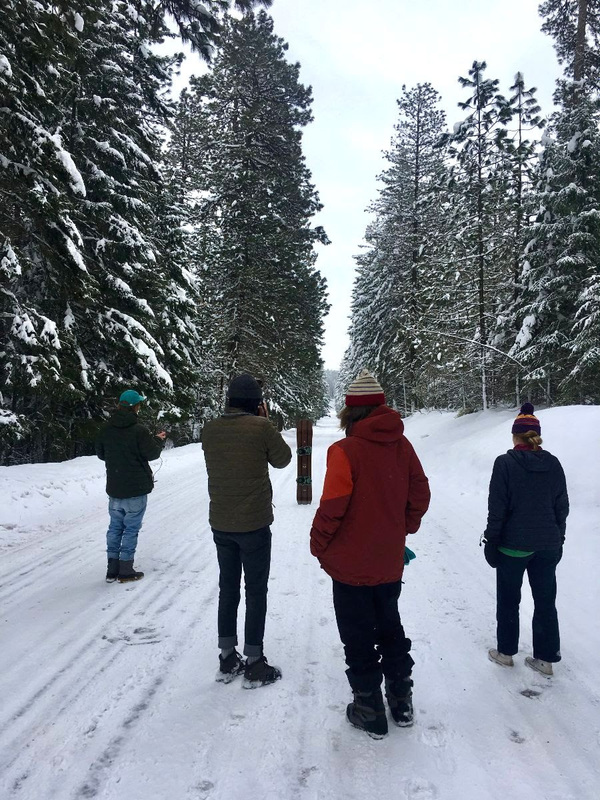 Outside the classroom, the students have been keeping up on school while on the road to Whistler, Utah, Waterville, and Arizona, as travel plans and strong lines of communication between teachers, coaches, and students on the road have helped them stay on track. Our seniors are planning for graduation this spring and prepping for college and trade schools this coming fall. We will miss them dearly! Can you believe it’s almost Thanksgiving break? The last couple of months have flown by and soon we’re all heading off for the holidays. Autumn has been mild with sunny days mixed in with some rain.. but the students found a bit of paradise on the mountain. They’ve been hiking, skiing, and snowboarding on slopes and hitting some rails. I hope you have been able to see the Facebook page and Vlogs! The coaches have been doing a great job documenting our students this year. Parent’s Weekend was wonderful. Thank you to all of those who made it to campus. I believe that Saturday was one of the most beautiful days this fall. It was a special time to get to know each other a bit more and begin to build stronger relationships. Speaking of getting to know each other better, I would to have a parent or two start a parent club. It was Kyleena’s idea to start a parent Facebook page, so thank you! That is one place where you can communicate with each other. But, I would like to take it to the next level and need some parents who will step forward to make a parents group happen. Interested? Academically, we are a little more than halfway through the semester. It’s been a bit of a learning curve with Edgenuity, getting all the pieces in place, but we are very happy with the program. We will also be adding the MAP standardized assessments to their educational experience. Our teachers have been crushing it! Props to Lori and Matthew for supporting our students in concert with teachers, parents, and coaches. I have some exciting news for all parents, and especially seniors. As you know, senior portraits are treasured heirlooms. Our very own photographer extraordinaire, Michael Foushee, has created a photography package to document your student at this milestone. Michael is not only an athlete, skate park builder, and coach, he is an incredible photographer. I urge each one of you to look at his website to view his spectacular landscape and portrait photographs. Michael will meet with your student and document your student at this pivotal time in their lives. I encourage every parent to take advantage of Michael’s artistic gift and photograph your student. https://www.michaelfoushee.com. Our accreditation process is still in motion with our site visit this week. I have been ferociously working on the project. I am looking forward to having this be completed so we can continue to grow! One last thing, if you have not emailed me your student’s holiday itinerary, please do so as soon as possible. Anything outside the following times are an additional fee, as we will need to pull someone off shift to pick them up. The only exception is on Nov 16th, during the day, if you absolutely cannot get a flight out for Thanksgiving. Thank you for your trust and allowing us to care for your students! The kids this year are fantastic! The beginning of October found us half way through our first major trip of the year. We ventured down to California for the final stop of the Hotwheels Junior Series at Woodward West. Ava Godfrey left with some hardware, taking 3rd in street and 1st in mini ramp. Max Bardas and Jed Reagan also competed and put on a great show. After the contest, we spent a few days around Sacramento and San Francisco to film and explore the local skate scene. We returned to Oregon where we were treated with some uncharacteristically dry fall weather. We were able to skate outdoors at local parks and ramps without having to hide from the rain- so lucky! The dry weather lasted all the way through until the end of the month when we embarked back down south again for our second Cali trip of the year. Our second trip to California is sure to be one for the books. We headed all the way south to San Diego (even hitting Mexico for a day). Then we spent a full week in Encinitas for the Exposure competition, filming, and visiting companies within the industry. Now we are off to Los Angeles, San Francisco, and Sacramento to take full advantage of being in the area. This trip will nearly last us all the way to Thanksgiving break, where the students and myself are looking forward to some much needed R&R and family time. All in all, the year is off to an awesome start! Research world premiere of their latest film “Far Out” as well as their Hall-of-Fame induction. Our very own Ellie Snow Armstrong’s father, Rick Armstrong, was honorably inducted into the Hall-of-Fame for his extensive career in pioneering big mountain skiing and continuously setting the bar for what is possible in the sport. During our time in Jackson Hole, the team got to sit down with living snowboard legend, Jeremy Jones, and get some insightful advice on what it takes to be at the top of your sport. What a humbling experience to sit down with someone of that caliber on an informal level and hear his take on being the best. After the Jackson Hole trip we’ve been busy getting out hiking in the mountains here, visiting some local skate parks, spending time on the trampolines, and taking advantage of the beautiful weather September has provided for us! As a team, we’ve also gotten gym memberships at the Mount Hood Athletic Club in Sandy where we work on core strength, cardio, and different isolated muscle groups twice a week. Their facility is a wonderful resource being 12 minutes away and includes a pool, steam room, sauna, and two hot tubs for self-care and stretching after our workouts. This momentum is going to carry us into winter to start in the right mindset and physical shape as I’m already seeing results! 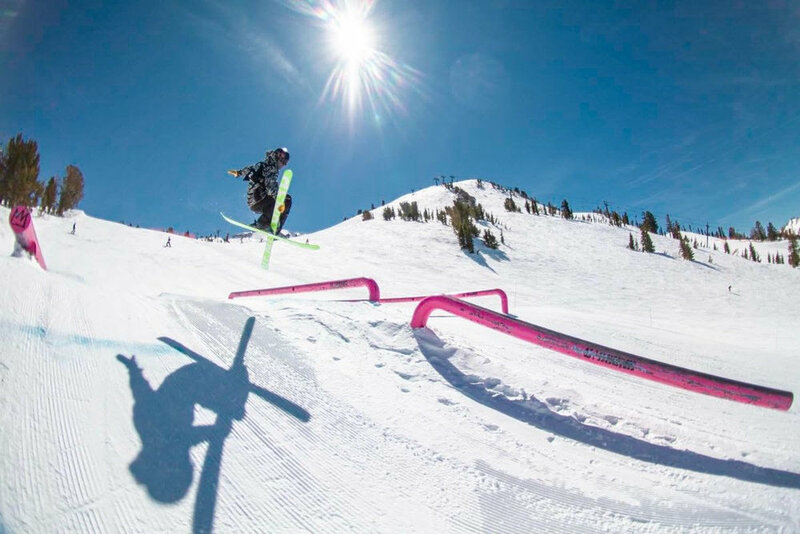 We have had a great month and a solid start to the year on the freeski side of things. From daily workouts and dry land training consisting of upper and lower body strengthening, the boys are well on their way to being prepped for the hill. We balance our workout time with trampoline training, helping each student individually to learn new and polish old tricks to bring to competition. With our competition season around the corner we have had the privilege of visiting the Utah Olympic Park twice this month. Each trip everyone has shown great progression and have had breakthroughs within their bag of tricks. Having access to the Olympic Park allows us to use their trampolines prior to the landing bag sessions which has proved to be very effective in getting the most out of each day there. Keeping the athletes on track academically has been a breeze with our new teaching staff. We receive daily progress reports from the teachers outlining any and all that may be falling behind. Evening school sessions on the road have been effective and have kept everyone on track or ahead in their classes. During our first trip to Utah we got to take an industry tour of the Saga Warehouse guided by the owner. The kids were shown first-hand how to hot press logos onto hoodies, and even make their own. They finished the tour with a meet and greet with the brands’ head designer who showed them some of the steps in prepping a clothing line a year in advance. As a whole, the team is blending well together and there is nothing but good times ahead! Look out for progress reports and the first update on our winter competition schedule. The snowboard team has been busy this month. We have been gearing up for for the snow to fall and training hard, focusing on airbag, trampoline and skateboard training. We also went down to California and toured the Volcom headquarters as well as Sierra Nevada College. As much as I’m focused on getting the kids good at snowboarding, I want to expose the kids to different opportunities within the industry. While at Volcom, Kaelin told the kids how to use their internship program as a gateway to getting a full-time position with the company. The kids loved the California trip and I would love to do this style of trip again in the future. And finally, we got our first dose of pow and to took the kids up to Timberline for a few shred sessions. Check out the first session of the season in our latest VLOG! Student of the Month: Edgar!!!!! Our students have been working hard in the classroom, putting in extra hours during evening Study Halls and in private tutor sessions to stay on track and balance their busy athletic schedules. We have worked individually with students who have fallen behind to develop daily schedules, goal setting, and checklist tracking. We have seen some incredible academic improvements, and are impressed by our student's strong dedication to their studies. Aside from classwork, we have been working with our students on college and career planning. Through career surveys, the Portland College Fair, and a recent visit from a representative of Sierra Nevada College, students are getting lots of great insights for the future. In addition, we have been mentoring our juniors and seniors for their SAT exams and college prep work. The fall is a beautiful time of year to be outdoors in the Pacific Northwest. Our field trip to Wildwood Recreation Site brought our students closer to the natural world and helped them identify native plants, questioning the intricate connections between plant, animal, and human. 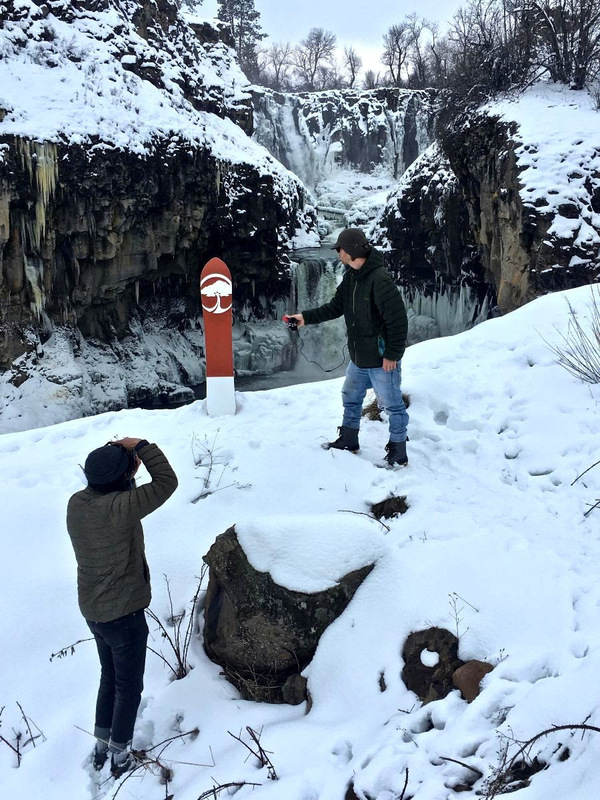 With winter trips, holidays, and the end of the term approaching, we have built a strong line of communication between students and coaches to prepare students for studies on the road. Working to build student confidence and individual accountability, we are excited to introduce a new mentor program that will begin at the start of next term, to help our present students learn to be leaders and welcome our new students to our community. What a year so far. Starting off with an action-packed camping trip to the Oregon Coast, our students got to bond over skate and surf sessions and s'mores by the campfire. The last few weeks, students have settled in and found a happy balance between school work, training, exploring the Mt. Hood area, and trips to places like Utah, Jackson Hole, and California. Read on for updates from our amazing teachers and coaches! During our first month in the classroom the kids have been working diligently as they settle into their routine as both athletes and students. We have both been happy and impressed with the way our returning students have demonstrated strong independent learning skills and with how our new students have quickly adjusted to the challenges of being in online classes. Overall, the students seem to be excelling in their schoolwork and are learning to be organized, dedicated, and independent learners - skills that will take them far in their sport and careers! To start off the school year we met with each student individually along with their athletic coach to get to know their learning style, academic aspirations, and to help them write academic goals for the year ahead. We felt it was important to include the athletic coaches in this process so both parties could understand what our student athletes are working towards both in school and on the hill or in the park! We will be monitoring these goals, revisiting them with the students throughout the year, and teaching our students to be goal oriented learners. In addition to their online classes, we are excited to be starting some new activities with our students including an art class led by Lori (Miss L). We are also planning an art and science field trip to the Wildwood Recreation Site to identify native species of the Mt. Hood National Forest and document them in species sketches and drawings. 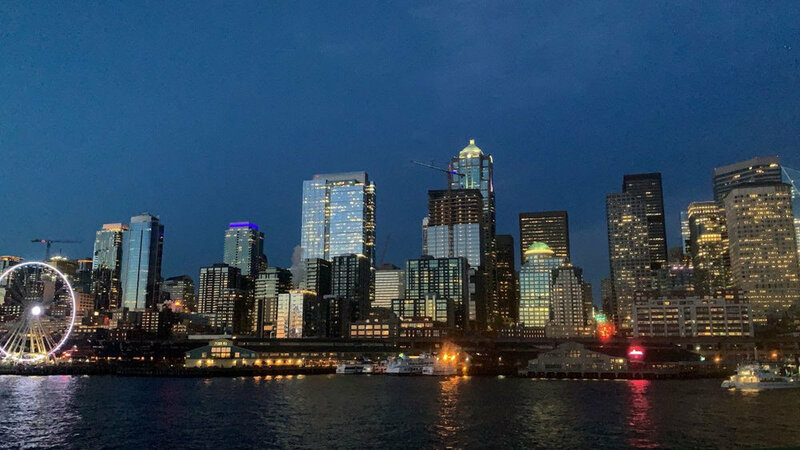 We are hoping to incorporate other activities into our curriculum in the future including trips to the Oregon Museum of Science and Industry and the Portland Art Museum. Our students are off to a great start- we are looking forward to the rest of the year with them! Greetings families and friends! The first month of the school year is in the books, and it’s been a blast! The skaters and I have taken advantage of the beautiful warm fall weather by skating as many parks as possible before the winter rains move in. We managed to cram in almost 30 parks in 3 weeks! Everyone is getting in the groove and adjusting well to what for some is a very new school and living situation. 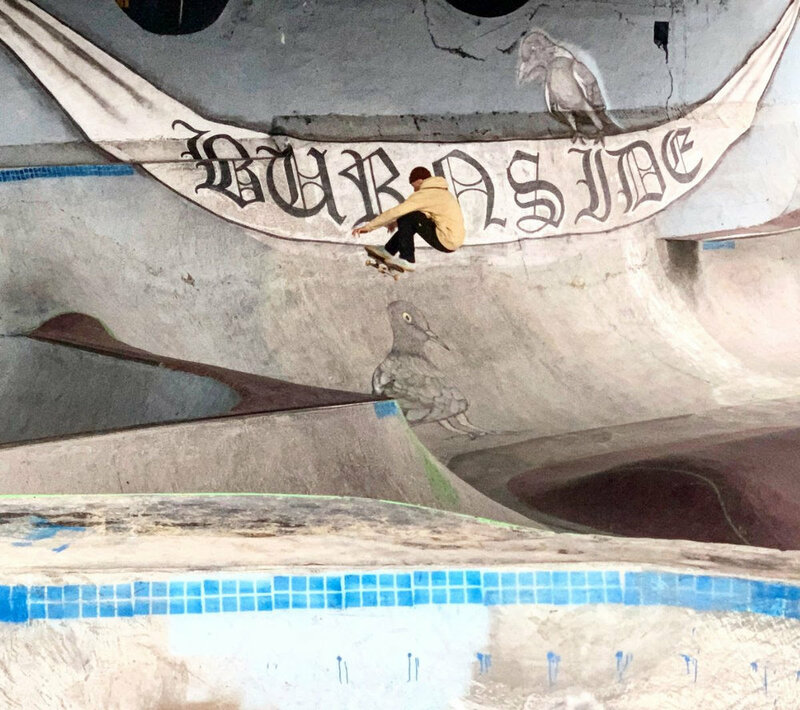 I’m beyond hyped on the skate students attitudes and desire to progress. We are looking to keep the good vibes rolling as we load up the skate van and head south on our first trip of the year to California! We have had a great month and a solid start to the year on the freeski side of things. From daily workouts and dry land training consisting of upper and lower body strengthening the boys are well on their way to being prepped for the hill. We balance our work out time with trampoline training, helping each student individually to learn new and polish old tricks to bring to competition. With our competition season around the corner we have had the privilege of visiting the Utah Olympic Park twice this month. Each trip everyone has shown great progression and have had breakthroughs within their bag of tricks. Having access to the Olympic Park allows us to use their trampolines prior to the landing bag sessions which has proved to be very effective in getting the most out of each day there. Keeping the athletes on track academically has been a breeze with our new teaching staff. We receive daily progress reports from the teachers outlining any and all that may be falling behind. Evening school sessions on the road has been effective and kept everyone caught up or ahead in their classes. During our first trip to Utah we got to take an industry tour of the Saga Warehouse guided by the owner. The kids were shown first-hand how to hot press logos onto hoodies, and even make their own. They finished the tour with a meet and greet with the brands’ head designer who showed them some of the steps in prepping a clothing line a year in advance. As a whole, the team is blending well together and there is nothing but good times ahead! Look out for progress reports and the first update on our winter competition schedule. 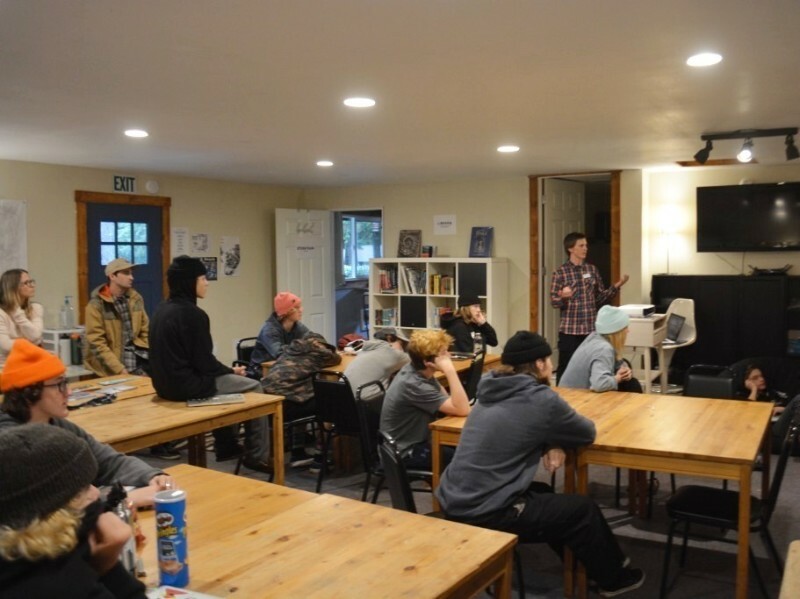 Over the last month the snowboard program has had a great start to the semester. The snowboard team has incorporated skateboarding, trampoline, fitness, dry-slope trainings and we even started a Vlog. Every Monday, the kids and I release a YouTube video on the adventures of the week. The Vlog has been well received by the kids and also gives them an inside look on the film aspect of the snowboard industry. The kids are learning to set up cameras and lights, host interviews, edit videos and most important overcoming the challenges of being in front of the camera. The team and I have changed our weekly athletic schedule to have 3 morning and 2 afternoon training sessions. This new schedule helps find a balance between training and getting off campus. On Thursdays, we head off campus and drive to a local skatepark or go for a hike. This season has been amazing! We are proud to announce a new era. 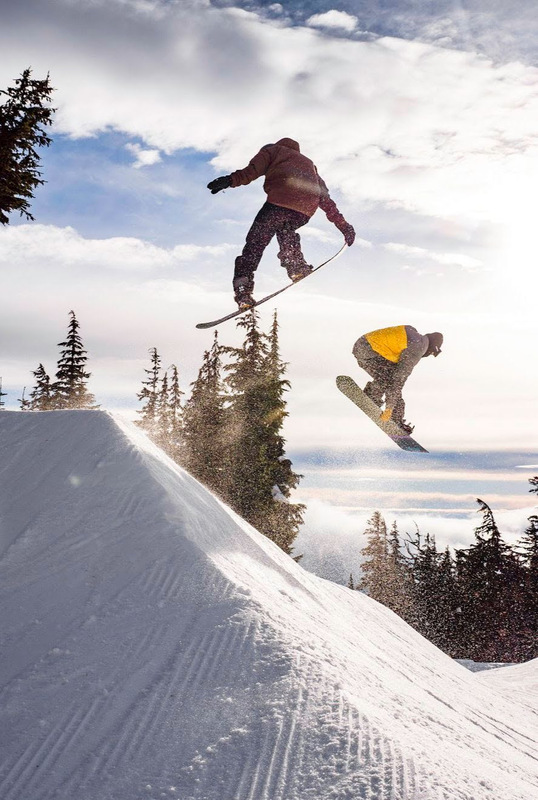 While elite-level training for skiers, snowboarders, and skateboarders remains the core of our academy, we are evolving as an institution seeking to develop our students as whole people, not just as athletes. This name change signifies an expansion of our mission with renewed focus in the classroom and student life while investing heavily in our campus; many facility renovations are currently underway with several new and innovative training facilities on the drafting table and on the verge of breaking ground. We aren’t just changing, we’re growing. Our mission is life improvement through people, place, and passion. We believe that if you put the right people, in the right place, with shared passions and college preparatory academics, you’ll not just improve the life of a young person, but change the world by helping to create driven and compassionate citizens. We invite you to learn more about us through this website and to give us a call or visit our beautiful campus so we may share what drives us to make your student’s success our focus.